Are you sick of seeing those cheap plastic signs affixed to utility poles? You know, the ones that offer “cash for houses” or promote a business or service. Well, this weekend is your opportunity to help remove this illegal blight while benefiting a local civic association. Photo courtesy of East Point Breeze Neighbors. 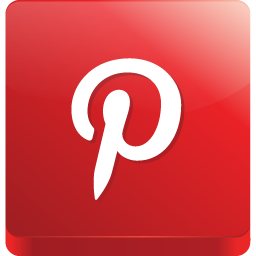 …it is illegal in Philadelphia to post or pay someone to post a sign on a streetlight, utility pole, traffic sign, historical marker, or street tree. The penalty for posting these signs is $300 per sign for the first offense and up to $2,000 per sign for the second offense. This Saturday, June 16th, East Point Breeze Neighbors (EPBN) will participate in the city’s Illegal Signs Round-up. As part of this Philly-wide event, the City will pay registered groups fifty cents for every illegal sign collected and turned in at the collection point on Saturday (up to 500 signs). EPBN will use all funds raised towards cleaning and greening efforts. 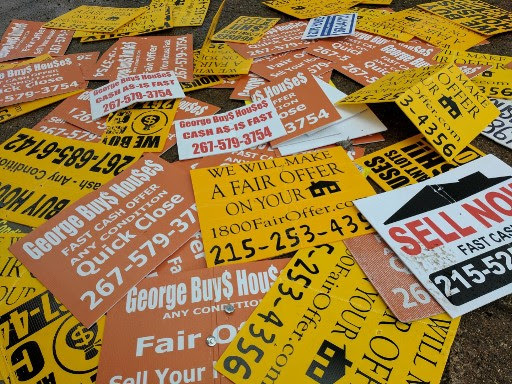 If you can help collect signs and/or transport sign collectors, please email clean@epbneighbors.org.